Longtime member, Kaye Kyle is credited with this year's first CWA show bags, writes Annelise Answerth. In a cafeteria full of noisy crowds and creamed scones, Kaye Kyle smiles as she explains the ingredients of the jams. She laughs as she speaks with her co-worker and then greets another customer, treating them like an old friend. 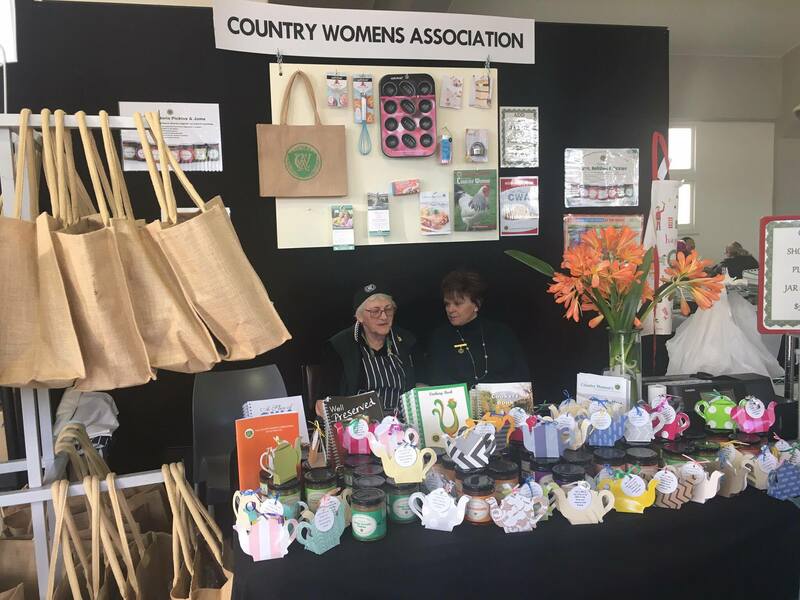 Kaye has been involved with the Country Women’s Association for the past 22 years, and the Royal Melbourne Show for 12. But this year she is the inspiration behind the latest achievement of the association: a CWA show bag. 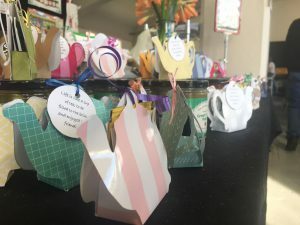 In the bags are recipe cards, scone cutters, cupcake pans, a whisk, recipe book and a cake tray – all of the essential items for the CWA’s famous scones. 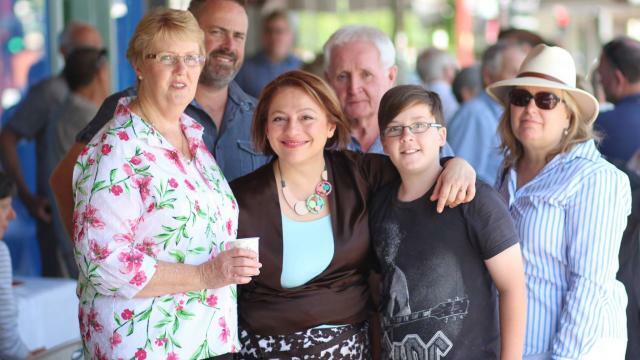 Kaye joined the CWA after moving with her husband to Rosebud, where she was encouraged by her mother-in-law and sisters-in-law to attend their local meeting. Friends say Kaye is very modest. Ask her about herself and she will speak about the CWA. For a number of years, Kaye was the CWA state treasurer. She handled the finances of the CWA, including the takings the Melbourne Show. She was also the catering chairperson, overseeing the infrastructure of the preparation and food at the show. State President Machelle Crichton says that her experience is an asset to the association. “Her work is vital…she really understands how this whole process here works,” Machelle says. 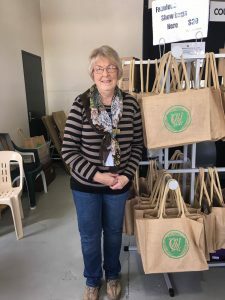 While Royal Melbourne show bags have been around since the 1940s, Kaye is credited with this year’s introduction of the first ever CWA show bag. Kaye is also very proud of the CWA-labelled jams. “This year it is all so exciting, with our show bag and the jams that read our label,” says Kaye. Before her involvement with the association, Kaye had never heard of the CWA or what work they did. She’s originally from Traralgon, where she was involved with her community in other ways, such as mother groups and school councils. 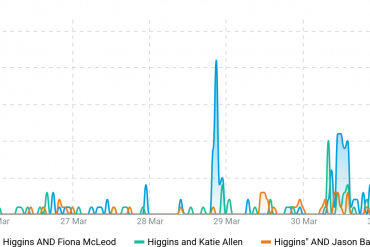 She volunteered for the Citizen’s Advice Bureau and was its co-ordinator for 10 years. She also coached softball in Gippsland. 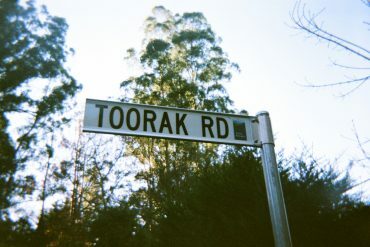 “I didn’t know much about it at all, even though there was a branch in Traralgon so I could’ve joined years before. I think it is wonderful for new people who move into new towns, it’s a good way to make friends and be a part of everything,” she says. Due to her commitment and passion, she was awarded a Member of Honour in 2015. This award is voted by the CWA members; recipients must receive 85 per cent of the vote to have it bestowed upon them. The CWA has a board of 65 members, five of them in their thirties. “The members of Honour provide a great deal of resources to those young women…Kaye is very good at doing that,” Machelle says. Kaye has shown strong commitment to their key object of providing better conditions for women and children. “She has given a great deal of time and her commitment to this association…she is very passionate about it,” Machelle says. Kaye does not mention her accolades. Instead, she talks about her hopes for the future and growth of the CWA. “Our city membership is growing, we now have 40 branches in the city alone and our majority of our new members are young. New ones bring new ideas and it is most important to listen to them and see how the young ones think,” Kaye says. While young women bring new knowledge, they also bring diversity within the branches throughout the country. “In our branch our youngest would be late twenties and the eldest, 90-something and everyone gets along,” says Kaye. “It is lovely. The CWA is Kaye’s life, and will continue to be for a long time.